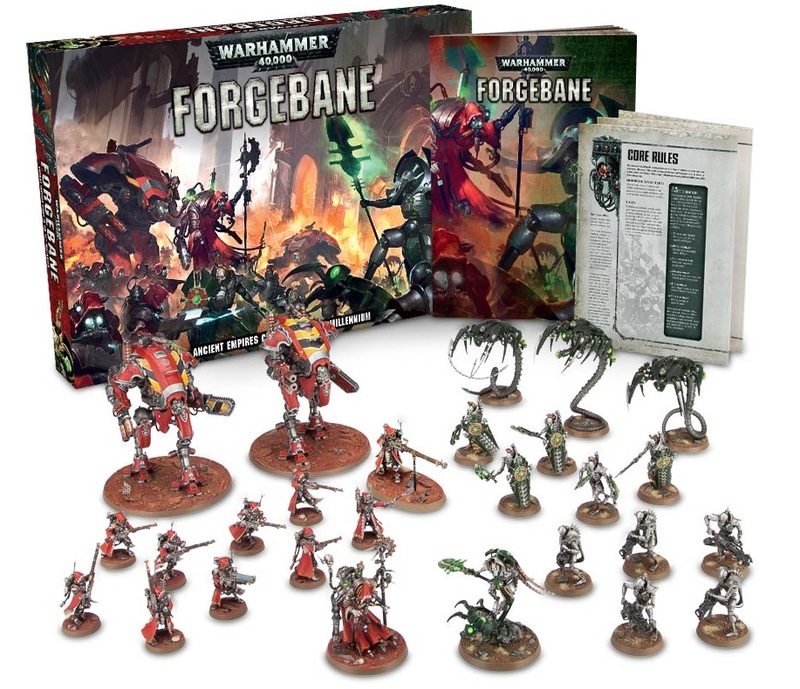 We’re pretty excited about Forgebane – it a new $160 Boxed Set featuring the Ad Mech and the Necrons facing off. But what mysterious forces brought these two factions together, besides their love of robots and metal? Blackstone. Blackstone has existed in the background of Warhammer 40,000 for decades, in the form of the Cadian pylons and the Blackstone Fortresses. 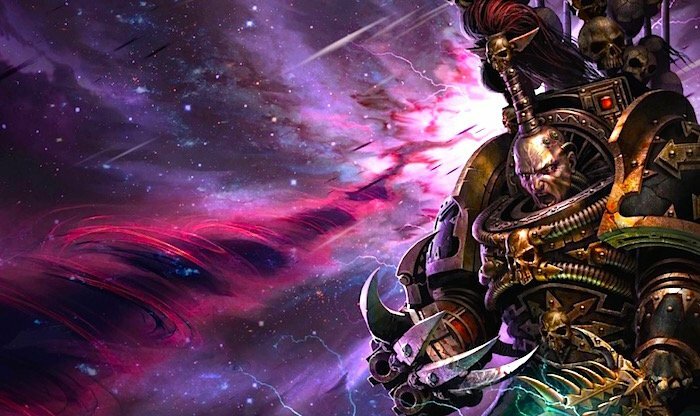 Related somehow to both the Necrons and the mysterious Old Ones, blackstone interacts with the warp like no other material. In the form of the Cadian pylons, it proved essential for calming the tides of the warp and holding the Eye of Terror at bay to create the Cadian Gate – an issue Abaddon the Despoiler dealt with rather expediently by destroying Cadia. When polarised one way, blackstone stabilises the warp. When polarised the other, it amplifies it. It’s in this way that Abaddon’s Blackstone Fortress could project solid blasts of empyric energy and didn’t just absorb his summoned daemonic allies. 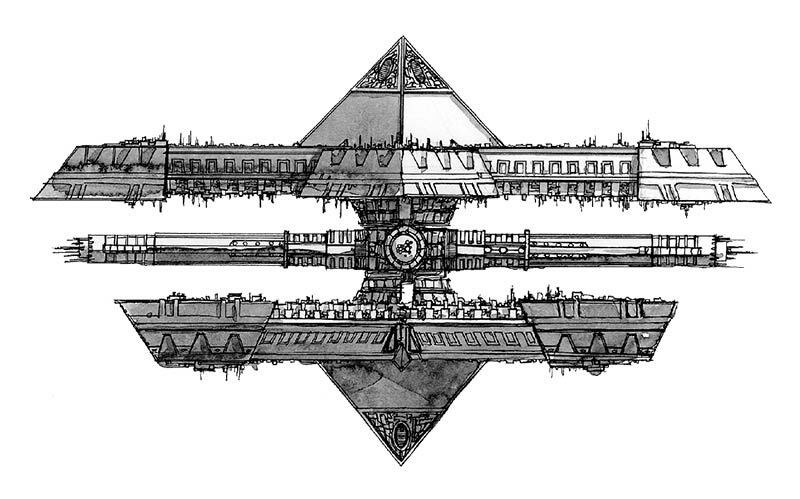 While Abaddon may have used one of his Blackstone Fortresses to destroy Cadia (got a problem with some blackstone megastructures? Just smash them with another blackstone megastructure!) there’s still another held by the forces of Chaos, with Huron Blackheart having received one as a gift during the 13th Black Crusade. Okay, that’s a lot of exposition here. But basically Blackstone Fortresses are made of the stuff and can be used to harness the Warp in some pretty terrifying ways. But this is all Chaos/Imperium stuff – how do the Necrons fit in here? Great question. That has to do with the War in Heaven. The one between the Necrons and the Old Ones, not the OTHER one (although some folks think they might be related). According to some theories (from GW mind you), the Necrons developed the Cadian Pylons to help fight the Old Ones. Or maybe the Necrons stole it and turned it against the Old Ones. It doesn’t really matter – the point is that the Necrons gathered up large quantities of the stuff before they took the long nap. Now that nap time is over, they don’t just want their old turf back, they want their Blackstone loot, too. 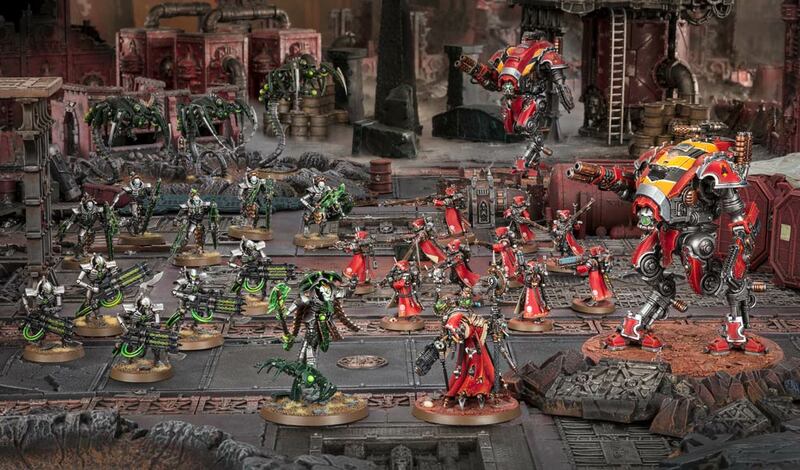 That’s all well and good – so how does the Ad Mech fit into this? Well for one – they seem to have known about the potential of the Blackstone and were quietly settling on worlds that already had caches of it. They are hoping to gather enough of it to construct pylons along the Great Rift. The idea is that they can “stitch the wound” closed with a new Pylon Network. It could work…but that’s just a theory. Oh and the Necrons aren’t exactly cool with them taking their stuff, either. So that’s why the Necrons and the Ad Mech are going at it in Forgebane. No, it’s not just about sweet Robot vs Robot violence. There is a distinct lack of Ramp-bots for this to be a Robot Arena fight…It’s about the Blackstone! It’s all making perfect sense, right? Blackstone stops the Warp. Necrons have it and the Imperium wants it. BOOM – Let the fighting begin!